Working therapeutically with the Human Energy Field is an important part of treating the entire athlete. Without it, you are not treating the entire person. Energy work is a crucial part of my practice. I utilize many different energy work modalities to assist in properly balancing that which has become imbalanced. I will trace down that which has become off balance and is affecting your performance. I will then use many techniques to help "reset" this to the proper state of balance. That which has become disconnected will be reconnected. If a meridian is out of balance, I will help rebalance it. Likewise, if one of your chakras is not in balance, I will help you restore it to balance. I may send you home with some things to contemplate. I may even suggest some foods and or spices to eat or avoid. While in my office, be open-minded, and you may walk away pretty amazed at a whole new world which opens before your eyes. Restore your balance and energy with acupressure services in Las Vegas. Acupressure has been used for thousands of years in Traditional Chinese Medicine, as well as the Japanese form, called Shiatsu. It applies the same principles as Acupuncture. It utilizes points or pressure points, which are found along the meridians or energy pathways. If one of these pathways is blocked or out of balance, illness or injury may occur. If an injury has already occurred, this imbalance or blockage may be at the root of the problem. Acupressure is then used to unblock and restore balance. The athlete's Chi is then returned to a free-flowing and balanced state. If there was an injury, then unblocking the Chi and restoring balance will greatly assist in returning the athlete to performing at their normal levels. If there is no injury but still an imbalance, then this same procedure may put the athlete at peak performance levels as well as help avoid a weakness which may have later lead to injury. Meridian Therapy is an Eastern-based therapy treatment which utilizes the concept of energy pathways in the body known as Meridians. 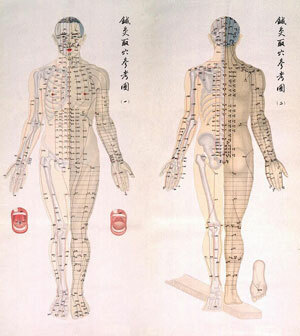 These meridians are associated with the organs of the body. They also correlate to certain muscles of the body as well as any possible dysfunction of those muscles. Consequently, Meridian Therapy can be very effective in treating an array of muscular issues. At Proactive Health Therapeutic Services Scott Zelensky uses Meridian Therapy to assist in his efforts to heal injuries as well as keeping athletes performing at optimum performance levels. Make your appointment with our Las Vegas massage therapist today.